A catheter that goes into the veins. It is used to give fluids and medications before, during and after an operation. The part that goes through the skin and into the vein is soft and flexible. The IV catheter is initially placed in the vein with the assistance of a needle. 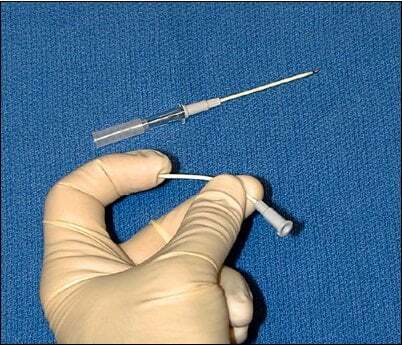 The needle is removed, leaving a soft, flexible catheter behind.